The question isn't for whom the bell has tolled shortly before midnight in downtown Mount Pleasant, but why. 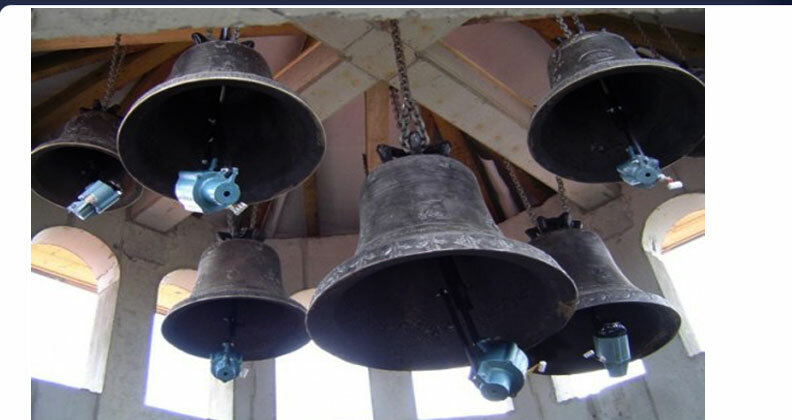 One of three bells in the tower of the Sacred Heart Catholic church in this central Michigan community rang, without human provocation, last Monday, Wednesday, and Friday, usually between 11:30 and 11:40 p.m.
"One woman said it was wonderful, the most peaceful sound she's ever heard. Others were not so happy about having to listen to a bell in the night," explained Parish Deacon Jim Damitio, who also is an accounting professor at nearby Central Michigan University. After the first night, church authorities thought they had turned off electricity to the automated bell-ringing system, but the lone bell rang again. Finally, the circuit breakers were completely pulled and the bell fell silent. Dispatchers at Isabella County's central emergency call center said they took a "handful," of calls on all three nights, notifying the church each time. A dispatcher said callers weren't irate, just bewildered. "Now, members of the parish are asking why the bells didn't ring (on Sunday). We are hoping they won't until after the repair people come up next week from Ohio," Damitio said. The problem may be an electrical short or crossed circuit involving the 40-year-old church building's underground irrigation system that is set to turn on in the middle of the night. But, Damitio said there might be a higher power involved. "I believe that we live as if reality is 90 percent of what we see and 10 of what we don't see. But, the truth is reality is 90 of what we don't see. It means sometimes things go on that have nothing to do with the sprinkler system. Sometimes there are benevolent spirits moving us to consider something we don't see." Those last words by the Parish Deacon Damito concerning our perception of reality could not be more true. 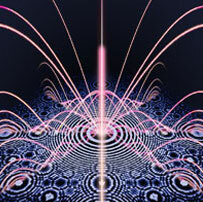 For most human beings on Earth, an imperceptable dimension of infrsaound resonance generates the electromagnetic fields of consciousness that influence human beings in profound ways. Many people today are expanding their range of perception, and many are now gradually hearing into the deep infrasound range, whereby thousands of reports of loud rumbling and earthshaking are generated by residents of focal points of terrestrial infrasound. The unprecedently bell tolling in the Sacred Heart Catholic church in Mount Pleasant, Michigan is the result of false electrical signals being erratically generated within the bell's electronic controls, in a process that has also become a hazard in other industries throughout the world, especially the satellite, railway and automobile industries. The disturbing solar influences are focused into a nonlinear field of terrestrial infrasound standing waves by the Orion pyramids of Giza, Egypt, which is situated 5,951 miles from Mount Pleasant, Michigan (43.60°N 84.76°W). This distance corresponds to 23.9% of the Earth's mean circumference (of 24,892 miles), confirming a direct link with the pyramid emanations and all other hotspots worldwide. These electrical surges occuring erratically within all types of equipment have also caused a localized effect over a wide area of Sicily where the vast majority of digital and analog clocks are showing a significant increase in the measurment of time. The clocks themselves are running fast, and continue to do so! Malfunctioning electronic systems have been identified as a lethal effect of influences from solar emanations that are currently bombarding Earth with great intensity. Cosmic rays have been linked to 56 deaths by spontaneous acceleration malfunction in Toyota vehicles, while intense electrical surges have also crack airplane windshields as witnessed near Denver Int'l Airport. This website has covered many major stories involving infrasound resonance convergence points, including Llanidloes, Mawnan, Hull, Saffron Walden, Bridlington, Woodland, Bolton, Malta, Goa, Klai, Auckland, Sydney, Ontario, White Rock, Ranchlands, Panama, and in the US in Newport, Anderson, Kimberley, Rochester, Menomonee Falls, Pelham, Richmond, Wilmington, Virginia Beach, Nashville, Knoxville, Mobile, McCalla, northern Florida, Knob Noster, Seattle, Novato, Arroyo Grande and Atwater. The cases have become so severe that spontaneous combustion of objects by piezoelectric induction has been recurring in spates - in areas such as Tenerife, Babura, Abuja, Bauchi, Lalapansi, Mapuve, Bodibe, Hopewell, Landovica, Longford, Hull, Egham, Wisbech, Glasgow, Messina, Peschici, Berici, across northern Greece, Ratria, Kakori, Mumbai, Kishtwar, Rangrik, Kota Baru, Kuala Lumpur, Santo Tomas, Adelaide, Sydney, Georgetown, La Pampa, Melipilla, and in the US in Seattle, Soudan SP, Minneapolis, Colorado Springs, Pueblo, Anderson, San Mateo, Vallejo, San Francisco, Santa Barbara, Clovis, Haverhill, Peabody, Brentwood and New York City.